Everyone loves a bit of horror in their lives, it's good for you (honest), it serves to remind you that it's good to be alive and get the adrenaline pumping around your body, either that or it leads to years of therapy. Jason Eisener's horror film One Last Dive is only short in length, but it packs in a big scare that will definitely do the trick and have you jumping in your seat. If it doesn't, you're lying. 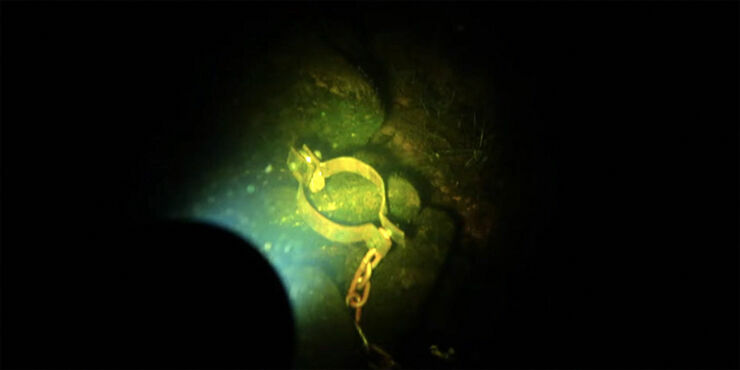 Canadian filmmaker Eisener, who directed Hobo With a Shotgun, sets the scene in an underwater dive and the aim was to "make a 1-min 1 shot POV of something scary happening at 3:07am"—and he delivers with gusto. Make sure you have another pair of pants nearby when watching this, because chances are you're going to need them.